Surveillance Index Edition One is a collection of one hundred books related to surveillance photography. Books are indexed by Year, Title, Photographer, Description, Size, and Code. Ubiquitous, anonymous, unnoticed, and omnipresent, CCTV cameras are the eyes of a perpetual surveillance state where fear has overtaken the societal and individual concerns for privacy. For many people this is simply the cost of safety, the new normal in a world where the body politic cedes autonomy to the Orwellian meta-government of Big Brother. While fear may inure populations to give up liberty in the name of security, certain artists have proven constitutionally unfit for such acquiescence. Perhaps because art is by nature predicated on a primary act of observation; maybe it is because it believes too adamantly in the dominion of the self to tolerate any major compromise in personal autonomy; or possibly voyeuristic mediums attract one another by their mutual perversity. Whatever the reasons, artists have been addressing the psychological, material, social, and political implications of surveillance with an acuity that almost makes up for the obliviousness the rest of us exercise in failing to look back at that which looks at us. At this point, the field of surveillance is so expansive and pervasive that we can’t really fathom its presence beyond whatever intimidating statistics could possibly account for it. The numbers are just too vast and absurd, like trying to count warheads at the height of the Cold War arms race, and yet CCTV cameras continue to accumulate like a kind of toxic pollutant in public space, something most of us choose to ignore most of the time because they’re just so damn annoying to pay attention to, unpleasant, weird, and paranoid to talk about with others, and truly disturbing to think about. No, like most irritants in urban life, be it noise pollution, germs, crowds, or just some funky smell, we don’t register the cameras watching us any more often than we bother to look up at the sky above. And habits teach us that we’re not likely to do either unless someone points our gaze in that direction. This of course, is what art is very good at, redirecting our regard with a critical scrutiny not evident in passive observation. Let us then consider how art has captured these televisual spies, what it has seen by looking back directly into the lens, and how that reflection describes our culture. New technologies often find early adopters in artists who explore its possibilities with the pioneering optimism of discovery. If we had to define a dominant aesthetic for surveillance art today, we might describe it as part of the greater dystopian dread of Trevor Paglen’s meticulous and mesmerizing survey of surveillance photos. But it’s not always been this dire. As we think back on the inventions of aviation and photography, which eventually would enable the automation of surveillance, we recognize that aerial photography offered new ways of seeing, which in turn informed new techniques of representation and styles of abstraction that defined modern art. 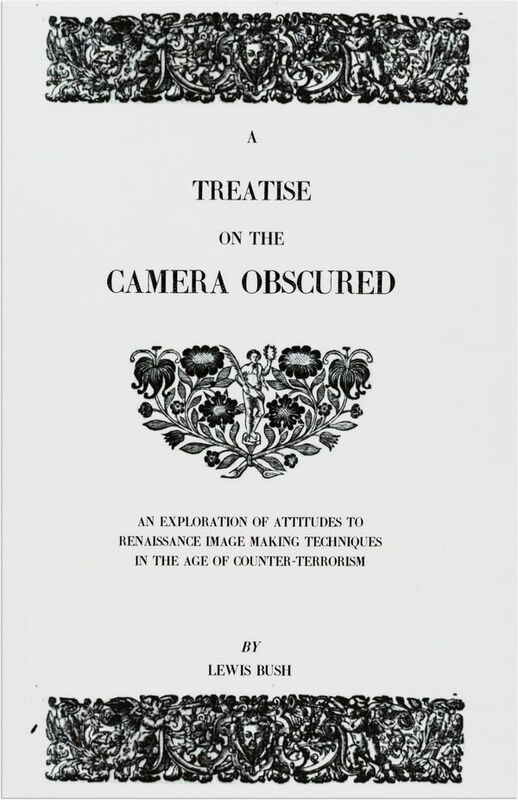 Similarly, the first explorations of CCTV came from video artists more interested in figuring out how these cameras could be used as tools than in passing judgment on its social ramifications. One of the first exhibitions to feature CCTV cameras was a two-gallery show in San Francisco and New York that offered the now-quaint possibility for attendees at each space to see people on the opposite coast. Back then, in the early ’70s, it was harmless and naïve, people just waving to a camera like an impossible friend. That would soon change. With an impeccably nefarious pedigree, Closed Caption Television was invented in Germany in 1942 to monitor the firing of V-2 long-range ballistic rockets against allied cities, and found commercial use in the late ’60s and early ’70s for home security and municipal crime prevention. Because these systems offered no way to record what the camera was seeing, their application was limited by the fact that someone had to be watching on a monitor. Then technology allowed taping the camera feed with the VCR in the ’70s, and adapted digital multiplexing, time-lapse, and motion triggers in the ’90s. Surveillance became not only cheaper, easier, and more widespread, but also independent of direct human oversight; it became creepily and coldly anonymous, not somebody looking but something watching. Because video art was born out of closed-circuit television, it is difficult to easily distinguish the medium from the message, but let us survey a few significant works by video pioneers to outline the formal and social potentials uncovered at the dawn of CCTV. Widely regarded as a landmark in video art, Wipe Cycle (1969) was a collaboration between Frank Gillette and Ira Schneider that helped usher in the new medium of interactive video installations. Mixing prerecorded video with CCTV images of the audience, Wipe Cycle created a succession of feedback loops that drew attention to the process rather than allowing the usual emphasis on image alone. This kind of system aesthetics would provide a whole new language for politically and socially engaged art, notably in Juan Downey’s epic travel cycle Video Trans Americas. As Downey went to Mexico, Guatemala, Peru, Bolivia, and Chile between 1973 and 1976, he recorded indigenous people and showed the documentary-style footage to them and to people he met along the way. Less anthropologist than cultural ambassador, Downey’s acknowledgment of his subjects and audience created a feedback loop for the usually unilateral observation of CCTV. Der Riese (The Giant), a sprawling eighty-two-minute visual poem on the stark tones and warrantless scrutiny of CCTV, created in 1983 by artist Michael Klier, represents that moment when surveillance moved from anomaly to norm, from something benign in nature to an unmistakably Orwellian paradigm. Constructed out of the surveillance tapes of a small German town, Der Riese is the size and shape of constant observation and diminished privacy, of all that is captured in the cold eye of CCTV, an unrelenting narrative set to a rousing score of Mahler and Wagner in which the mundane and totalitarian converge. The recording is not so much a truth as an accident, a predetermined focus that ultimately unfolds as pure chance. This fact was brought to shocking light when cyber-artist Wolfgang Staehle, who sets up surveillance cameras to record in real time and then creates pictorial equivalents of subjects ranging from Hudson School landscapes to the Empire State Building (in homage to Warhol’s Empire, from 1964), captured the suddenness of history when a camera he had installed on the Brooklyn Bridge filmed the events of 9/11 with brutally clinical precision. Before we leave aside the impact that CCTV has had on video art, by the preference of this author it is worth examining how this medium, which has become increasingly fraught with emotional and social complexity, has also left room for subversive and wily humor, as in the work of Cuban-American artist Tony Labat. Beginning in the mid-’80s, Labat was one of the first artists who began using CCTV in installations not merely as a system for recording and taping images but as a specific signifier for the ways surveillance functions in our society. Quirky and uncomfortable, these works—like The Tongue in the Position When at Rest (1987), in which the power to run the camera, lighting, and monitor are provided by mice in a cage, running on a wheel—examined the hidden authority of CCTV as both frightening and funny. This strategy of simultaneously hiding and showing the apparatus of surveillance created an even more disorienting frisson in Labat’s Day Labor: Mapping the Outside (Fat Chance Bruce Nauman) (2005), in which the cameras, hidden inside plastic plants installed outside the window of his studio, invoked a kind of kitsch terror as they documented, for six months, the sundry activities of immigrant laborers congregated in the parking lot across the street. As a production tool and material presence in video art, CCTV has had an innovative and positive effect as well as extremely negative connotations. In street art, another visual-art form that has consistently addressed this technology, surveillance is not seen as a tool but rather as a subject ripe for assault and ridicule by whatever means necessary. Provocateurs and interventionists of the public square, street artists are the vox populi who act as watchdogs of that realm, defying the easy intrusion of surveillance through derisive exaggeration and confrontational polemics. Like unruly delinquents gate-crashing the emperor’s new fashion show, street artists only need to point to the obvious that we try so hard to ignore and laugh off. From the conceptual to the satirical, their attentions have proven to be wildly effective in drawing attention to the social controls invested in surveillance systems. Some of the most popular parodies come from the biggest names in street art. Shepard Fairey addressed CCTV in silkscreen prints, alternately warning that we are “under surveillance” by his mock corporation Giant and, highlighted by a smoking gun, that we must protect ourselves from the “home invasion” of intrusive surveillance. Banksy’s numerous volleys against the ubiquity of CCTV in England include the large mural One Nation Under CCTV and the deftly simple stencil “what are you looking at?” applied directly in front of a surveillance camera’s field of vision. While CCTV cameras continue to migrate into the gallery in sculptural form—notably Ai Wei Wei’s solid marble surveillance camera—they have been in situ targets of unrelenting vitriol in urban art. Brad Downey, most widely known for his absurd deformations of common city structures like park benches or streetlights, created CCTV Sacrifice (2009) for CNN, in which a surveillance camera on a pole was set on fire. 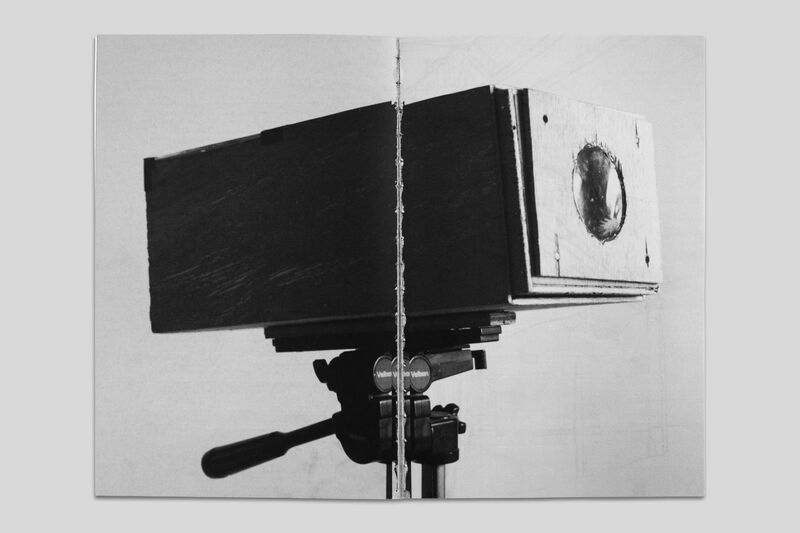 He also has an ongoing series called CCTV Takedown (2007–) in which diptychs of before-and-after photos showing surveillance cameras in place and then absent are hung next to the cameras he has presumably stolen. And while Biancoshock, the Italian master of ludicrous logic, covered a camera with a police helmet, the Dutch artist duo Front 404 bedecked CCTV cameras throughout the city of Utrecht in silly birthday hats to mark George Orwell’s birthday. As these cameras continue to populate our cities, we must ask ourselves how many are enough, and what exactly needs to be watched to guarantee our security. SpY, an artist based in Spain, brought this question to a hysterical extreme when he installed one hundred surveillance cameras on the side of a building. But it was the French prankster known as The Wa who found the liminal space in this field of vision with his 2012 piece in Warsaw, Master Piss, in which he documented an unseen crime, in the form of a puddle of urine, exactly between two CCTV cameras pointing in opposite directions down a long corridor. Like many crimes committed in protest of this surveillance state, the evidence is not collected by the invasive architecture of CCTV cameras but documented like little ruptures in the surface of control by the artists themselves. We must ask what the real utility of this perpetual recording ultimately is. We see the atrocities of the world as an ongoing stream of surveillance incapable of producing the empathy or the understanding we need to bring an end to the violence. While these grainy shots that show us glimpses of terror before breaking off in bright flashes of explosive destruction may have some forensic, investigative value after the fact, seeing does not equal prevention here any more than the erosion of privacy increases safety. Rather, now we have on this CCTV planet a vast monument to our collective fear, an unfeeling, unthinking, and unworthy witness to the trauma of being. Stop! You are not allowed to take that picture! Photographs not allowed in certain public spaces. The balance between national security and civil rights is the narrative focus here In NYC it is legal to photograph the Police In New York provided that the person does not improperly interfere with police work. That is not the case everywhere. An complex issue and important work.